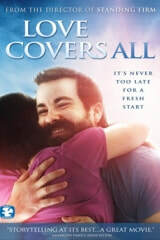 In Love Covers All, when a father-to-be gets stranded while his wife is in labor back home, he has to ask a stranger for help. But as the clock ticks and tensions rise, he might just regret it. I played Melinda, and was the set dresser and script supervisor.